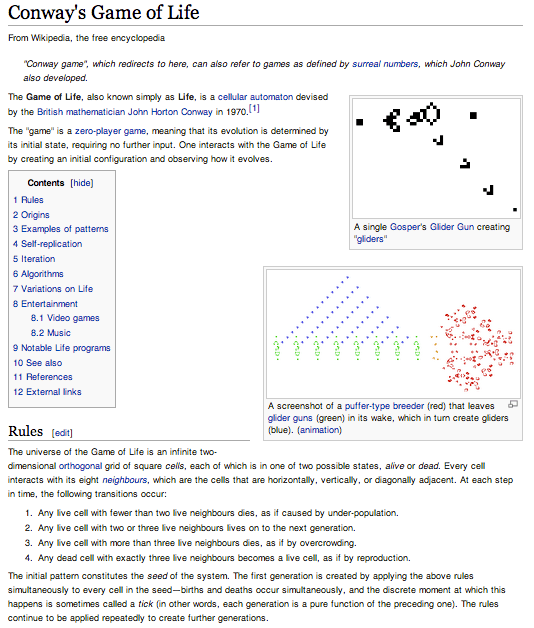 Part of why I chose Conway’s game of Life is because I think it’s a pretty common problem people tackle in code retreats. I first saw it at a code retreat when visiting Intel last april and tried it myself a few months ago to familiarize myself with GoogleTest. So I already have a solution… which is another good reason for it being the application :). My initial version is written in C++ and uses a crude graphical output based on the ncurses library. Nothing flashy (as you can see in the video) but considering my goal was to practice TDD and get familiar with GoogleTest, it did the job just fine. First on the todo list for the demo was to rejig my original design so we can redeploy it to the ARM core on the development board. There wasn’t too much to this considering I think I did a reasonable job of keeping the interaction with the ncurses library clean. In place of direct calls to the library, I inserted a new class with an API that could be implemented as target specific. The first target specific implementation still uses ncurses (it’s pretty much the original code). A second implementation will be specific to the development board and the HDMI output (the board will be connected to an HDMI display). When we’re done, we should be able to build and run either. So that was week 1… re-partitioning my original implementation of Conway’s Game of Life and inserting GoogleMock in place of my hand-crafted ncurses mock. This entry was posted in Agile2014 and tagged GoogleMock, GoogleTest. Bookmark the permalink.